Rumored to be avaliable in september this year. 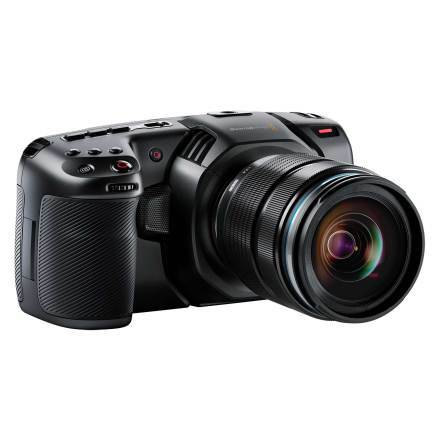 The Blackmagic Pocket Cinema Camera 4K features 4/3 size sensor, 13 stops of dynamic range and dual native ISO up to 25,600 for HDR images and incredible low light performance. External controls give quick access to essential functions, while the large 5 inch touchscreen makes it easy to frame shots, focus accurately and change camera settings. Features include built in SD/UHS-II or CFast 2.0 recorders for RAW or ProRes recoding as well as a USB-C expansion port for recording externally to disks, plus MFT lens mount, built-in microphones, XLR input, full sized HDMI, 3D LUT support, Bluetooth and more. Read more over at Blackmagic Designs webpage.